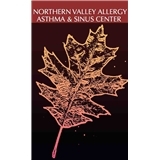 Northern Valley Allergy Asthma and Sinus Center (New York) - Book Appointment Online! We are a full service Board Certified Adult and Pediatric Allergy Practice based in Bergen and Hudson County serving Northern New Jersey. We have three fully functional state of the art offices in Bergenfield, North Bergen and Jersey City, NJ. Each office is fully automated with electronic medical records for our patients. There is a patient portal for you to access your medical record at home at your convenience so you can see in real time what is going on with your care. We believe you are the decision maker. We as medical professionals are here to advise. We want to provide you with as much information as possible to allow you to navigate your health. An informed patient is a healthy one.